People are already spending a lot of time in front of their computers, so why not read and eBook, instead of doing something else? 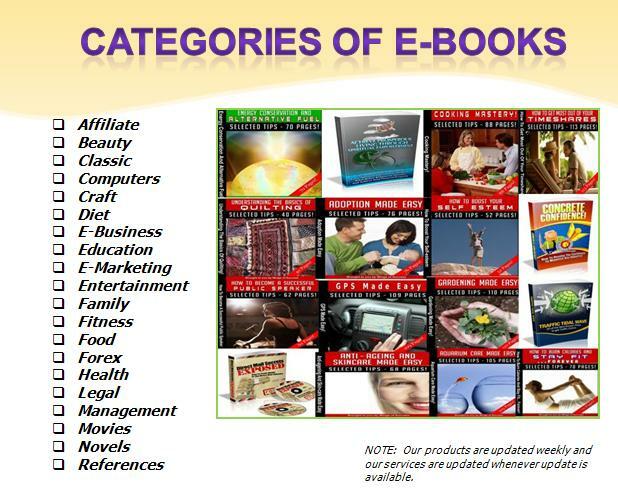 So far E-Club has almost 55,000E-books to choose from. No trees are required to manufacture paper for the pages of eBooks. 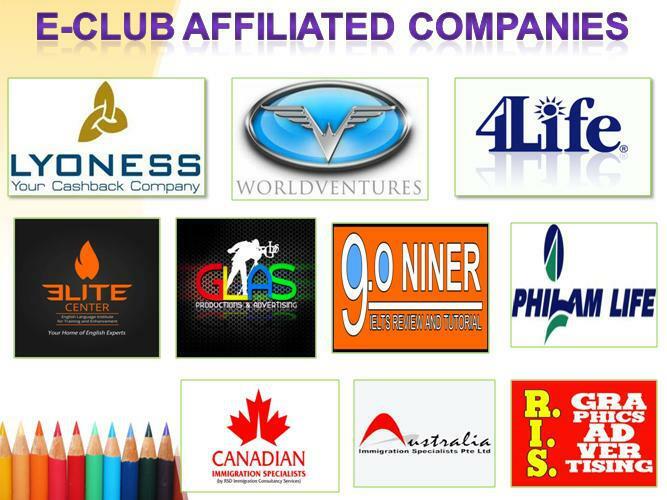 “We offer our members with exclusive benefits that are not offered by other companies of the same interests. Clearly, there is no reason not to be a part of this organization. 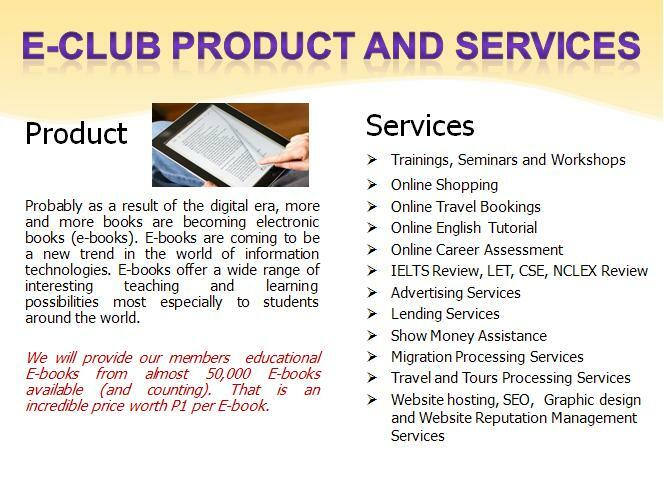 E-Club will open the door of opportunity to Filipinos most especially to students and educators who are looking for genuine online business at a very reasonable membership worth P40."